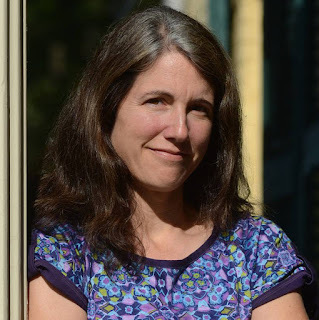 The Northampton Arts Council is thrilled to announce the appointment of Karen Skolfield as Northampton’s poet laureate for the 2019– 2021 term. As Northampton’s 9th laureate, Skolfield joins the illustrious ranks of poets Martin Espada, Janet Aalfs, Jack Gilbert, Lesléa Newman, Lenelle Moïse, Richard Michelson, Patrick Donnelly, and Amy Dryansky. The Northampton Poet Laureate position is a two-year term during which the poet will celebrate Northampton’s vibrant and diverse poetry community through activities of interest to the chosen poet, and will educate the public about the importance of poets and poetry to Northampton’s civic and artistic life. The selection committee read poetry by various nominees, discussed a wide range of quality in all their work, and considered their success in the larger poetry world. Karen Skolfield’s book Battle Dress (W. W. Norton) won the Barnard Women Poets Prize and will be published August 2019. Her book Frost in the Low Areas (Zone 3 Press) won the 2014 PEN New England Award in poetry, and she is the winner of the 2016 Jeffrey E. Smith Editors’ Prize in poetry from The Missouri Review. Skolfield is a U.S. Army veteran and teaches writing to engineers at the University of Massachusetts Amherst.